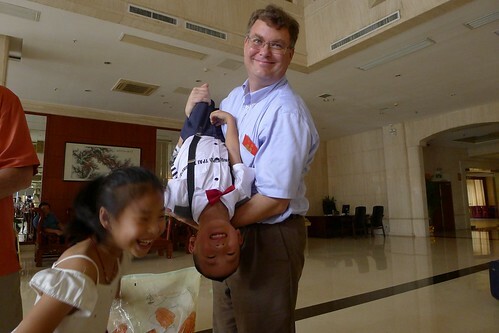 My husband John Plocher is flying home from his most recent two week trip to China, on business for Huawei. I have received an interesting series of text message emails as he worked his way through the weather and mess of a typhoon from ShenZhen to the Hong Kong airport. So far, his flight is about two hours late. On way to airport – roads flooded, slow traffic, not worried – looking forward to seeing you SOON!! Later… John arrived home safely despite Typhoon Vicente, only two hours late.